BEIRUT — The Russian military on Wednesday criticized an alleged Israeli airstrike near the Syrian capital, saying it has endangered civilian flights. 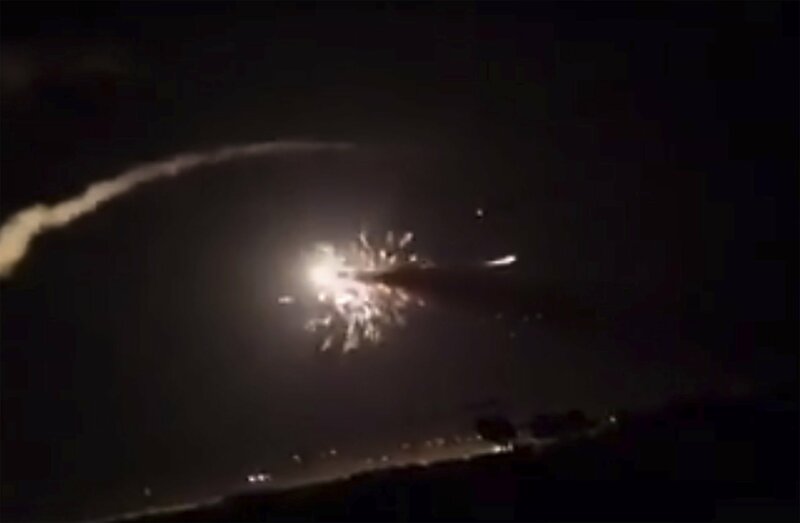 Konashenkov said the Syrian air defense forces shot down 14 of the 16 precision-guided bombs dropped by the Israeli jets, while the remaining two hit a Syrian military depot 7 kilometers (about 4.3 miles) west of Damascus, injuring three Syrian soldiers. The Syrian Foreign Ministry in a statement Wednesday accused Israel of exacerbating the crisis in the country and standing in the way of the government’s war on terrorism. In messages sent out to the U.N. secretary-general and the president of the U.N. Security Council, the ministry said that the Israeli airstrike wouldn’t have been launched if it wasn’t for what it called “unlimited” U.S. support for Israel. Israel has carried out dozens of airstrikes in Syria, most of them believed to have been aimed at Iranian arms shipments to the Hezbollah militant group. Both Iran and Hezbollah have been fighting alongside the forces of Syrian President Bashar Assad. Israeli Prime Minister Benjamin Netanyahu has repeatedly warned that he will not allow archenemy Iran to establish a permanent military presence in postwar Syria.